They say that 80% of what you taste comes through what you’re smelling. I often smell a wine more than I taste it (at least at first) to get as much from the wine just through smell – I love picking out what fruit I’m smelling, how much and what kind of earth and mineral are coming through, and then seeing if the palate matches the nose. 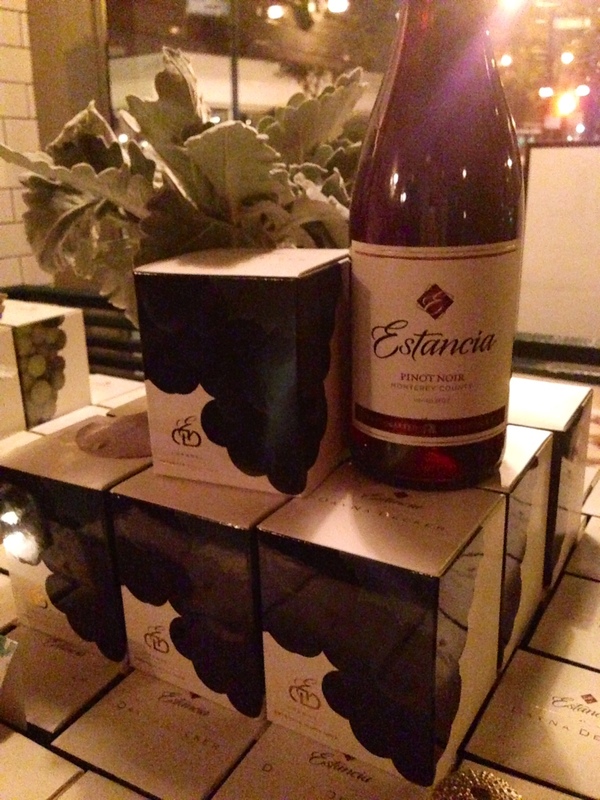 So it makes total sense that you’d make candles based on wine aromas, which is exactly what Estancia has done. 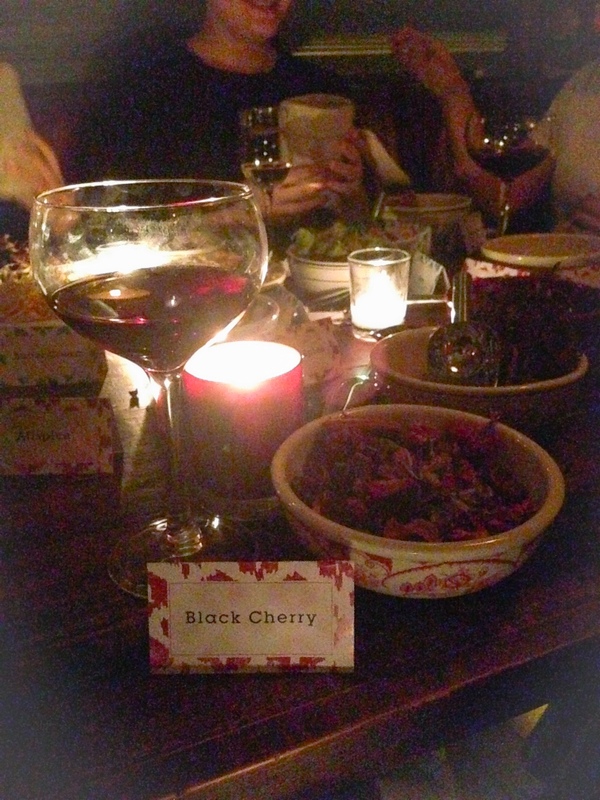 Went to a cool event last night where we had their Pinot Noir and Chardonnay next to their candles based on the scents of each wine. Plus, we got to make our own potpourri. Obviously, I was going to try to make a Pinot Noir scented one. One of the most telling signs that a wine is Pinot when you’re smelling it is a cherry scent, so I put in some black cherry potpourri into my satchel. Then I added a dash of raspberry (I would’ve gone for cranberry which is a more common Pinot fruit, but they didn’t have that). Then I added a dash of oak, which is what Pinot is aged in, and some cedar box and clove which you might get from an older Pinot. I took a sniff and there seemed to be a little too much sweet fruit. Dayna Decker, who created the candle scents for Estancia, agreed and told me to add some green apple – this isn’t at all a Pinot aroma, but she said it would neutralize the sweet raspberry scent and she was totally right. I gave the satchel a shake and sniffed again – it all combined to make an earthy Pinot scent, sort of fruit-forward but masculine. Dayna said it was her favorite out of all the ones she’d smelled so far (totally bragging here haha). this is dayna assessing my scent. she loved. Estancia’s assistant winemaker Rebecca Nelson and I were noting how it was super cool to see how blending different scents is really similar to blending a wine. I’ve been to blending sessions before and they’re so much harder than I would’ve ever imagined, and I’ve actually only done it with different clones of the same grape to add textures and mouthfeel to a wine rather than just focusing on fruit. Next up I want to try it with different grapes, although I guess I should try to just master the same-grape blend first. You can buy your own Estancia Dayna Decker candles here – $44 each or $80 for the pair. Great for a holiday party or grapey gift-giving! 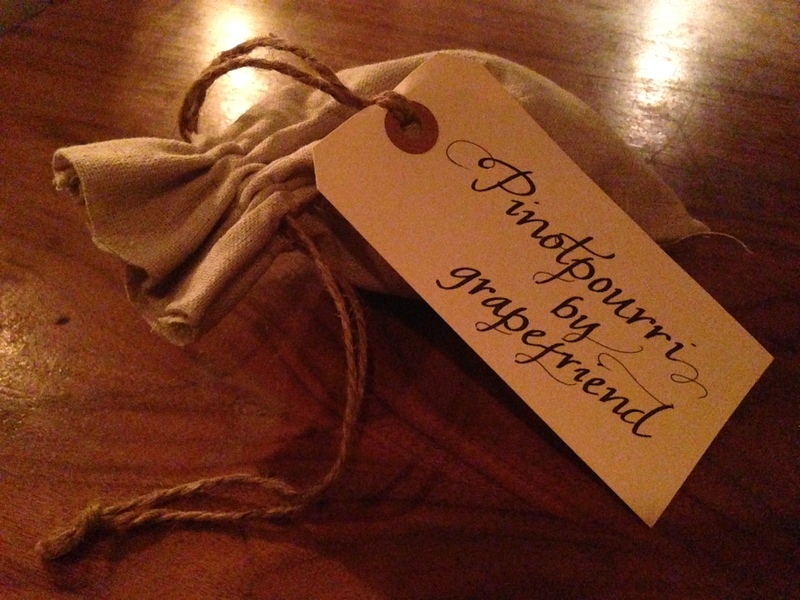 As for the grapefriend Pinotpourri, that’s one of a kind! Tags: chardonnay, pinot noir, wine. Bookmark the permalink. Very interesting. I generally have a problem with the scented candles – they often smell amazing before they are lit up, but once you lit them up, the smell becomes completely something else… This, of course, is a personal observation. This definitely should be an interesting experience to create a potpourri for the specific wine tasting. Will try! Hmm, wonder if it’s different for different candle makers… probably, but who knows. 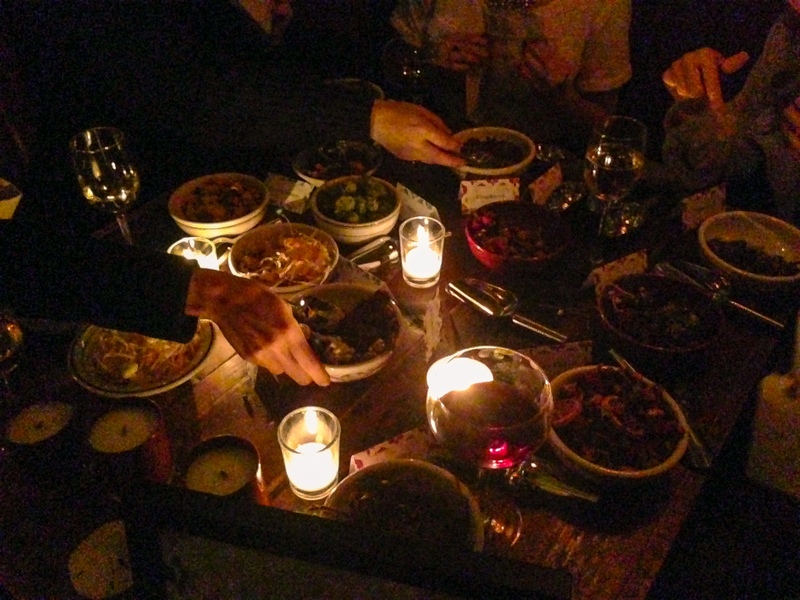 The candles last night were in a large restaurant so it probably diffused a lot more anyway. I agree with Anatoli regarding the candles, but the potpourri should hold its scent until nature absorbs it all away. I wonder how hard it would be to find the individual scents so that I could host a similar function at the wine bar??? I’m sure they’re all available in a store that sells potpourri – the ones we chose from were just big bulk bags. What a great idea! Adding it to our gift ideas list for sure. 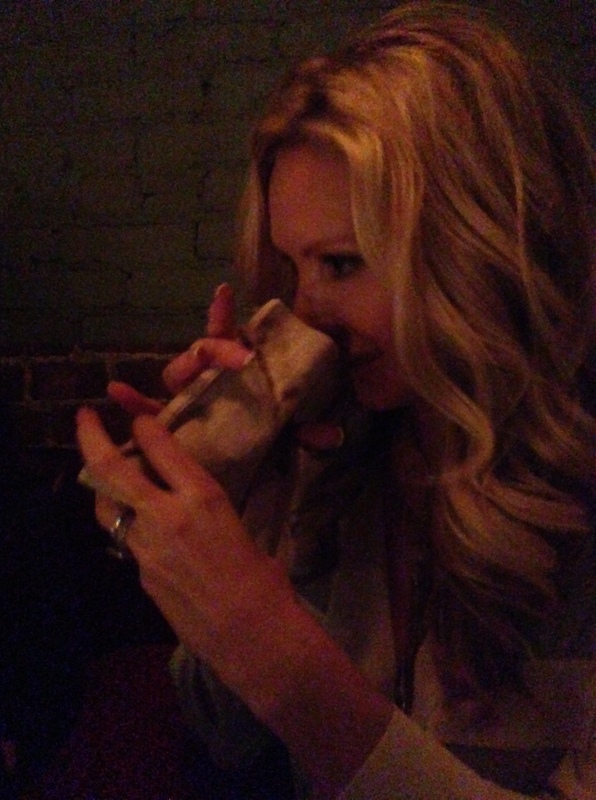 What impresses me most is Dayna telling you what scent is missing – and such a strange one at that. Pinot noir comes up cherries! Love the idea of complimenting Estancia candles. 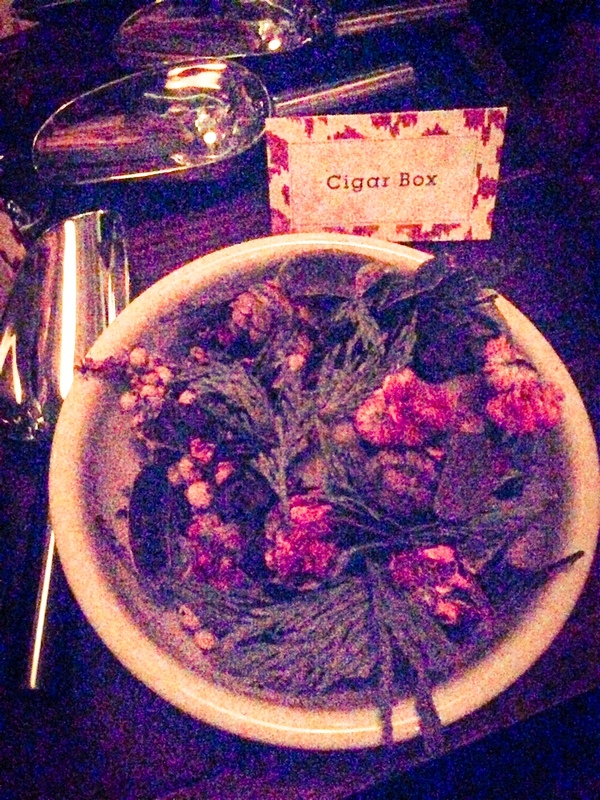 Cigar Box potpourri . . . that’s what I want for Christmas! Salud!! Sounds like you had an awesome evening, I really like the idea of trying to recreate to scents. It sounds like there’s quite an art to it, especially in the balancing. Exactly – so much harder than you think at first. It was super interesting, and a lot of fun. Now I’m really confused!! I have NO sense of smell… why do I enjoy good reds sooo much? Yes, smooth… that’s what does it for me, I don’t mind the variety or the robustness, or for that matter how inexpensive they are… if they’re smooth they’re usually good!